After the cabinet design and the outdoor battery cabinet solution realized with high technological 3D drawing programs. We use the 3D software technologies and newest materials for our outdoor battery cabinets. We draw all needed elements for approval for our clients. The needed battery cabinets are produced with best materials for Europe and Germany. 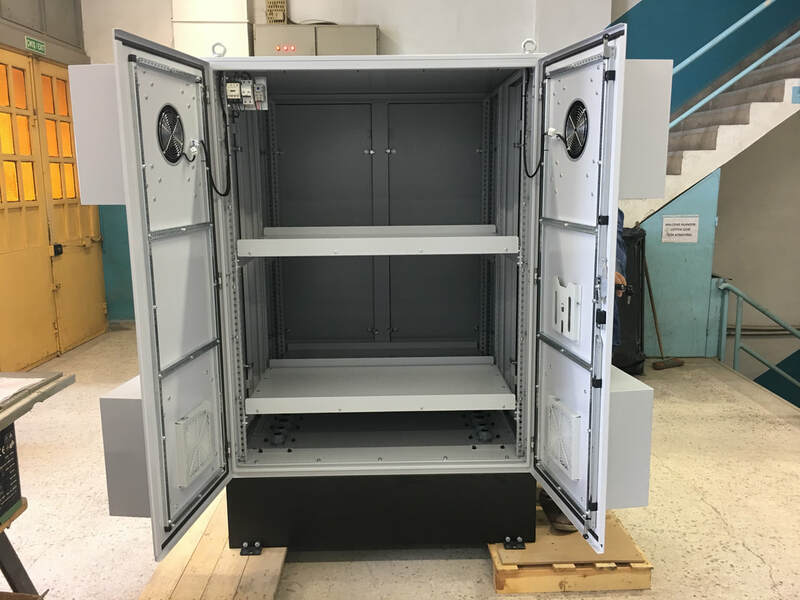 The needed battery cabinets are used for different applications in all around the world for different climate conditions like snow, rain, forest, desert..etc. from Germany and Europe. Battery performance is affected by the temperature of the place that is located in a cabinet from Germany Europe. That's why the battery cabinet is the solution which is used for keep the batteries in safe. Our long year experiences hep us to provide best and robust battery cabinet solutions to our customers. As Mak Plus Power Systems, we are producing battery cabinet for our customers' UPS, solar system and energy storage needs with NiCd batteries or Lead Acid batteries. All production process is done under our experienced technical team and engineers' supervision. The battey cabinets can be designed for different air conditions from Germany. In addition to this information, outdoor and indoor battery cabinet with the high quality and fast delivery strategy. IP55 and IP65 Battey and Outdoor UPS solutions are designed based on projects. Our Custom design solutions give our clients to have specific solutions for their outdoor projects. Our all battery cabinets solutions are designed for maximum flexibility, reliability and suitable for various battery types. There are intelligent enclosures for the batteries to supply more efficiency and flexibility. We can also design for all seismic zones and we try to design as small as possible to save the place and reduce the cost. In addition to this, excellent design makes the access easier to inside of the battery cabinet for nicd and lead acid when the maintenance is necessary. We can change the color of the battery cabinet according to your demands from Germany. Removable doors and side panels makes also the access of the batteries easier for any intervention. As Mak Plus Power Systems, we use high quality spare parts and components for the production of our battery cabinet solutions. It means that, you can use Mak Plus battery cabinets for long years without any problem. If you have any problem, you can contact with us. We are also good at quickly after sales service. We also design optimized battery cabinet solutions. Our battery cabinets have been designed and used for 1kVA till 3000kVA UPS, solar application, for petrol sector and energy storage systems. Mak Plus Power Systems, design the battery cabinets with new 3D design computer programs to let our client have perfect solution for their battery cabinet needs from Germany.